Want to know new job vacancy? then read here Rojgar Samachar Gujarati. 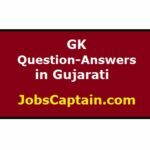 Gujarat Rojgar Samachar is an employment newspaper in Gujarati. This employment newspaper is published by Govt of Gujarat on every Wednesday. You can get all government/semi-government job notifications in Gujarat Rojgar Samachar. This newspaper is available in both, online and printed version. In this page, you can view or download Rojgar Samachar Gujarati latest issue as well as all previous issues. 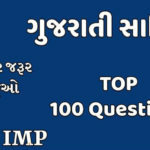 You can also view online or download Rojgar Samachar quiz, which is important for competitive exams in Gujarat (state level). Rojgar Samachar dose not publish all govt Job news so do not depend on this single employment newspaper. 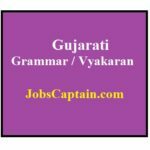 Stay connected with JobsCaptain for latest updates on Govt jobs in Gujarat and India. Join our Telegram Channel for Daily Updates. Jobs Information that comes to us from east, west, north, and south in Gujarat Rojgar Samachar. Now a day candidate is incomplete without this Job Newspaper. The newspaper is the printing media in which all information on the national and international level Jobs are printed. Gujarat Rojgar Samachar provides us with information collected from around the India and Gujarat. It also helps to find new Jobs, and at times guide the common man how to think and prepare.